Personal combination lock. 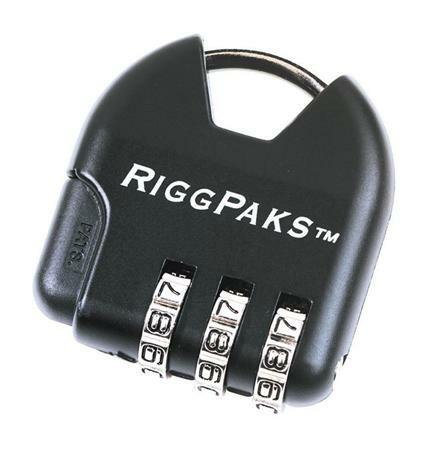 Compatible with any Nelson-Rigg or Rigg Gear items with lockable zippers. Push small black round button on the side (opposite to the opening button) of the lock inward and hold down until the next step has been performed. It may help to push and hold the button in with a pencil or pen. Set number wheels to the desired combination. Do not forget the combination you have set. Once you release the small round button, the lock cannot be reset back to 0-0-0. Now release the small black button and press it again as a check.